“I wake up and I look around and I don’t understand why I am here,” says CJ, a formerly incarcerated man being held at the Green Haven Correctional Facility in Stormville. CJ has been diagnosed with bipolar disorder and antisocial personality disorder. Deemed at risk for homelessness, the state determined that he should be placed in supportive housing rather than released into the public. There’s just one problem: There is a massive supportive housing shortage in New York. Rather than release him to the streets, the criminal justice system determined it would be best to transfer CJ to a residential treatment facility, which happens to be inside of a maximum-security prison. Legal Aid Society and Disability Rights New York have filed suit and are seeking class-action status on behalf of all inmates held in state prisons beyond their release dates solely because they are waiting to be placed in supportive housing. The state continues to hold the men “because they are unable to secure a community-based mental health housing placement that does not exist due to lack of available beds,” the complaint said. In effect, the state has lengthened their incarceration, “undermining the most basic principle undergirding the criminal justice system: that a criminal sentence, once imposed by a judge, means what it says,” the lawsuit said. Releasing a prisoner only to keep them within the prison system for over a year afterwards is a gross transgression of an individual’s civil rights. When applied to people with mental illness, it also violates the Supreme Court’s Olmstead decision, which indicates that people with disabilities should reside in the least restrictive environment that is safely possible. 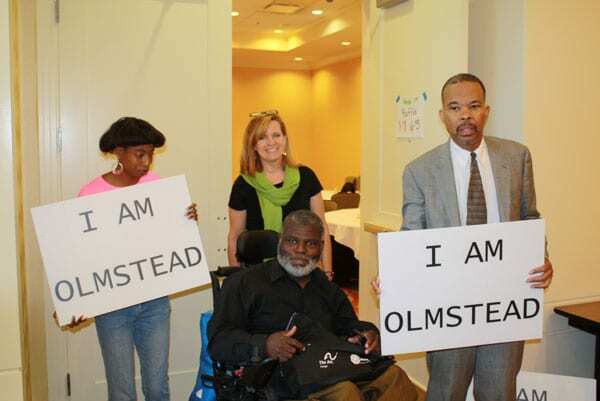 Since Olmstead was decided in 1999, community-based solutions have been the gold standard, but New York and many other states have found it difficult to maintain community programs at the level required to serve the need. Oddly enough, the process of deinstitutionalization, which was catalyzed by Olmstead, has actually led to some of the individuals with greatest need not receiving adequate support, as state mental health institutions and other residential programs shut down. The institutionalization of people with disabilities is a national scandal. This ruling attempts to intervene in a system where inadequate community-based resources continue to be the norm.